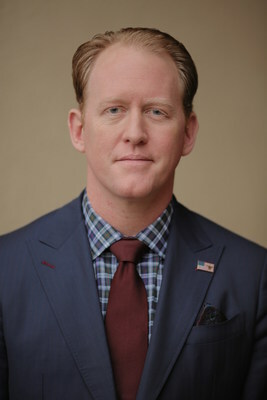 LOS ANGELES, Feb. 14, 2019 /PRNewswire/ -- ServiceTitan, the world's leading all-in-one software for residential HVAC, plumbing, electrical and other home service businesses, announced today the keynote speaker for its third annual user conference, Pantheon, will be former Navy SEAL Rob O'Neill, the author of the New York Times best-selling memoir "The Operator: Firing the Shots That Killed Osama bin Laden and My Years as a SEAL Team Warrior." O'Neill led SEAL Team Six, the unit that is credited with bringing Osama bin Laden to justice. After a decade of evading authorities, bin Laden was shot and killed by O'Neill's SEAL team on May 2, 2011. "While the bin Laden mission has garnered me recognition, I participated in more than 400 combat missions," O'Neill said. "I didn't join the Navy for fame or fortune. I did it because I wanted to help my country and its citizens. Every mission was important, but I was just a guy out there doing my job and striving to help my team. That same mentality is behind ServiceTitan. The founders developed the software to help people get a job done. Helping people has always been their focus and it was mine, too." O'Neill plans to share stories and lessons learned from his time in the Navy, which spanned across four theaters of war. He'll apply military tenets toward business strategy including stress management, risk assessment and more. "Rob O'Neill has led an extraordinary life, and his story is one that will fascinate our attendees," said Ara Mahdessian, CEO of ServiceTitan. "He's going to teach Pantheon attendees how to re-evaluate their business practices, develop winning plans, and achieve the extraordinary. Our conference theme is about transformation, and I believe those who hear Robert speak will truly walk away transformed." For more information about O'Neill, visit www.robertjoneill.com/. ServiceTitan is a mobile, cloud-based software platform that helps home service companies streamline operations, improve customer service, and increase sales. The platform's end-to-end solution for the multi-billion dollar residential home services industry includes CRM, intelligent dispatch, custom reporting, marketing automation, a mobile solution for field techs, and accounting integrations with Sage Intacct and QuickBooks. The company also brings a fully operational, modern SaaS infrastructure to an industry traditionally underserved by the tech sector. That is why ServiceTitan is the preferred software for the world's most successful plumbing, HVAC, and electrical companies. For more information about ServiceTitan, visit https://servicetitan.com/.